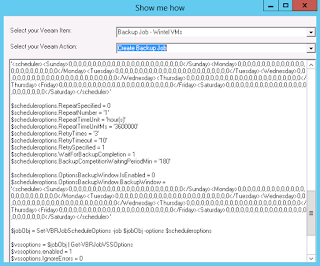 Introducing a small new Powershell tool that will show you how to code Powershell with the Veeam PSSnapIn. It actually uses the SnapIn to generate dynamic code. For example in the screenshot below, you will see that the tool has extracted the options from a Job. 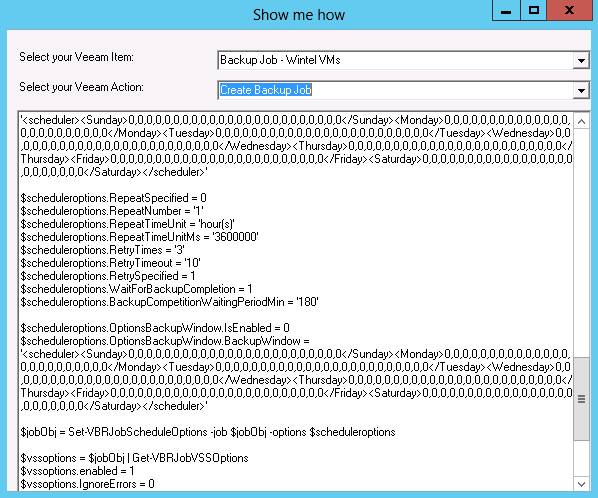 Hence you must run the tool on a Veeam Server to get the best results. Notice that the code is 0.04 and I only tested it on one server so watch out running it on any production server. CDATA is used to put in the code. If you want to use dynamic code enclose it between "##". The object you will be working in will be stored in $selObject. That being said, you can get version 0.04 here . 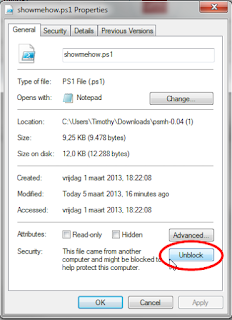 The script is not signed so you might have to put your executionpolicy on remotelysigned and unblock the file. Setting the correct executionpolicy can be done by executing as an administrator "set-executionpolicy remotesigned". 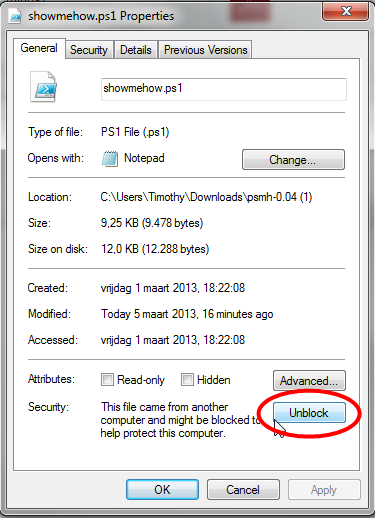 Unblocking the file can be done via the properties of the ps1 file.